Companies got a failing grade for their incident response plans according to a study from the Ponemon Institute and IBM recently. The Cyber Resilient Organization report, published on April 11, surveyed over 3600 global security and IT pros, and found that 77% of them lacked a consistent incident response plan. A robust incident response plan can help manage data breach costs, according to last year’s Cost of a Data Breach report from BM and Ponemon. It found that the average cost per lost or stolen record was $148, representing a 5% rise from $141 in 2017. Companies with an incident response team saved $14 per record on average in costs. This was the single biggest way to reduce the cost of a breach, according to the Cost of a Data Breach report. The next most effective was encryption, which reduced the cost by $13 on average. Insufficient staff resources could factor into companies’ lack of preparation. 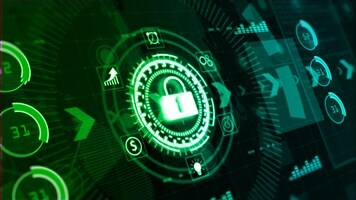 The Cyber Resilient Organization study revealed that companies were suffering from insufficient staffing to cope with their cybersecurity challenges. Only 30% of them said that they have enough people to achieve a high level of cyber-resilience. IBM is pushing automation tools as a way to bridge the skills gap and introduce better cybersecurity preparation and response. Automation technologies cover tasks such as identity management and authentication, incident response platforms and security information and event management (SIEM), it said. Fewer than a quarter of all respondents had embraced these technologies in their organization, it added. In spite of this, just over three-quarters of respondents valued automation as a way of improving cyber-resilience, rating it seven or higher on a scale of 10. While only 23% of companies overall had an incident response plan across the entire enterprise, that figure soared to 55% among what the survey termed high performers. These companies, representing 26% of the sample base, self-reported nine or above on a scale of 10 when rating their cyber-resilience. They typically communicated more with senior leaders about the issue, who were more educated about it and tended to provide more cybersecurity funding and staffing. These organizations also valued automation more, it found. The topic of Incident Response & Security Operations will be covered throughout the free-to-attend conference at Infosecurity Europe in London from 4-6 June. See all the talks on Incident Response & Security Operations here. Infosecurity Europe is the leading European event for information and cyber security; find out more and secure your free visitor badge.